That’s Myra’s on Main Street in Valdese. When was the last time you made a special memory with the people you care about? What makes a special memory between family or friends? I’d say that it just takes time spent together, a little effort, and maybe some great food. 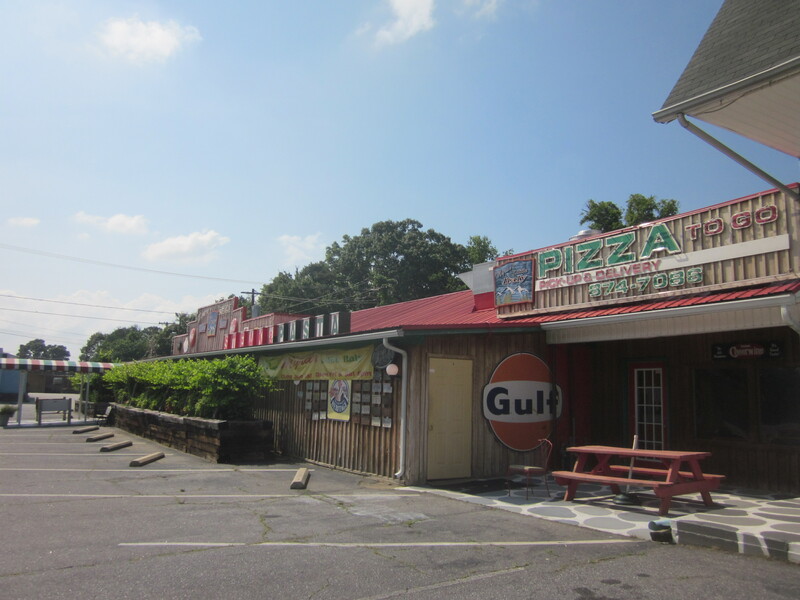 If this sounds good to you,then you need to drive to Myra’s in Valdese, North Carolina. 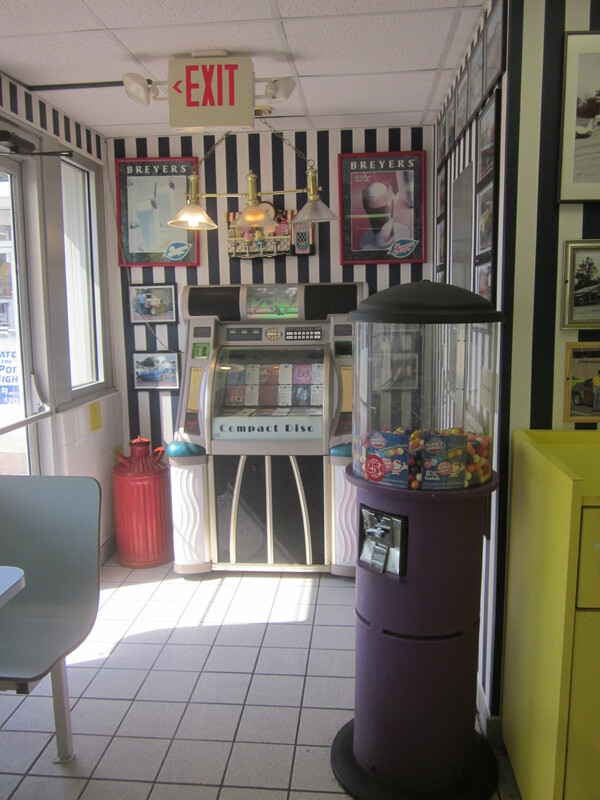 Myra’s isn’t just a vintage diner that makes you feel good all over. It isn’t just a place to get great Italian food. It isn’t just a complete tourist destination. Myra’s in Valdese is all this and more. 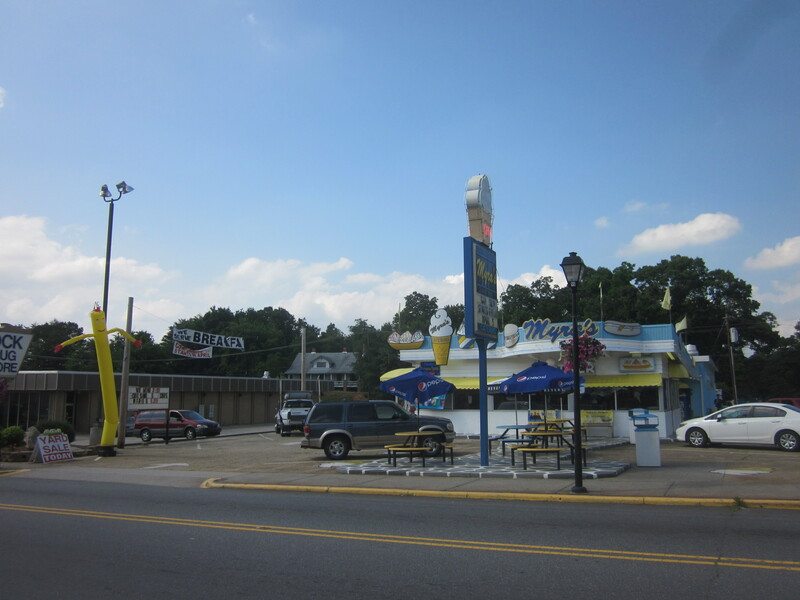 I’ve already told about Myra’s great hot dogs and you can read about them by clicking here. Of course Myra’s serves alot more and you can read their menu by clicking here. If you have to see to believe then click here to check out awesome photos of their food and some of the car shows they sponsor. That’s Myra’s Little Italy right there on the corner. 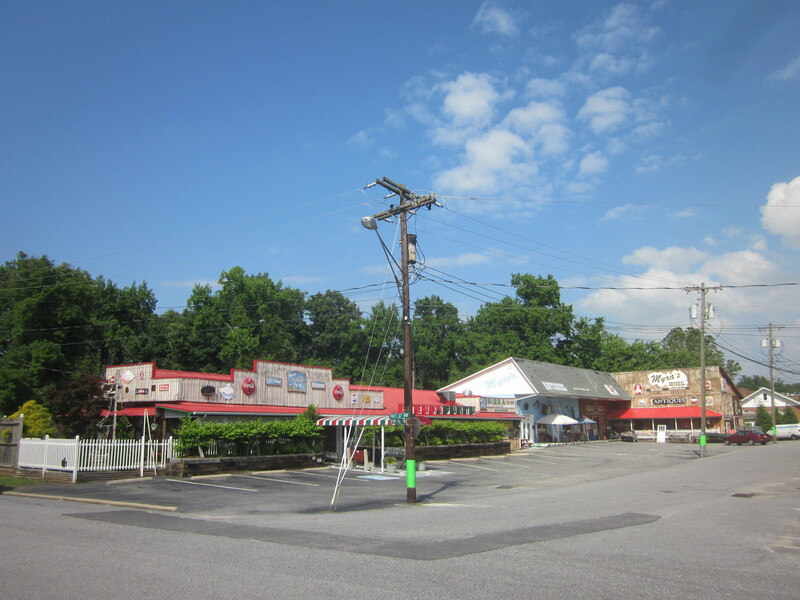 But what makes Myra’s even more than a great vintage diner is what’s behind it. See, Myra’s Little Italy is the place where you can get great Italian food from 5 pm to 9 pm. You don’t have to take my word for it, either. Just click here to check out reviews of Myra’s Little Italy on Google. To get to Myra’s Little Italy just turn left at Myra’s and take the next right hand turn. You can also grab a pizza from 5-9 next door to Little Italy. The reason I like Myra’s is the atmosphere the owners have created. Obviously, I like the food, too, but the atmosphere is what makes it worth the drive and it’s what will make the special memories. So grab the ones you care about and drive to Myra’s in Valdese. It’s just about an hour from Asheville and that makes it the perfect place for a quick daytrip. If you want to turn your evening out into something even more special, this is the place. Bon appetit and bon voyage. If this isn’t wonderful atmosphere, I don’t know what is.